Moms share this is already a trim list of essentials for a diaper bag. We carry the whole house in our diaper bag when we travel with kids, even if it's just a trip to the mall. Moms call it being ready for anything. What does that mean exactly? 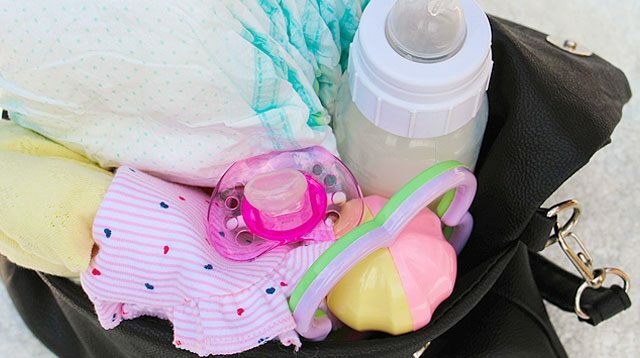 Here, moms share their diaper bag essentials--what they absolutely must have with them with they're going out with a baby in tow. Put all these must-haves in one bag, and you, mom-to-be, know why a roomy diaper bag is essential. 1. Have at least four diapers in the bag when you go to the mall. "I bring one diaper for every hour that we'll be out, plus an extra two," says Olivia Lee, graphic artist mom to a 10-month-old baby girl. Note that younger babies need more nappy changes than older ones. 2. Never be without wipes. 3. Buy a reusable and foldable changing pad. We suggest buying diaper bags that come with one that is padded, foldable, and easy-to-clean. It's handy when you need to put the baby down for a nappy change, and you just don't have time to clean a surface thoroughly (e.g., changing tables in comfort rooms, benches, etc.). 4. Use "lampin" as a towel. Muslins are soft, absorbent cloths that can multitask. Use it as burp cloths, changing pad, blankets, bib, and more. "I used old school lampin when my kids were newborns, and until now I use it all around for my kids. I always have three in the bag. 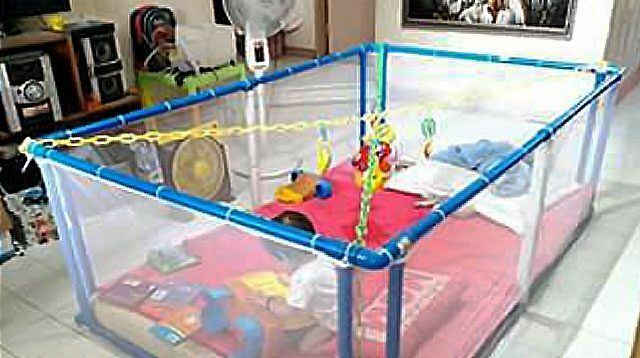 They don't take up too much space," advises April Gomez, mom to two young kids. 5. Protect your baby from the changing weather with a small blanket. You'll never know when you need to warm your baby at the mall. It can also double as a changing pad or burp cloth. Raya Florencio, who had just given birth to her baby girl this year, says she always brings blankets even if it's summer time. 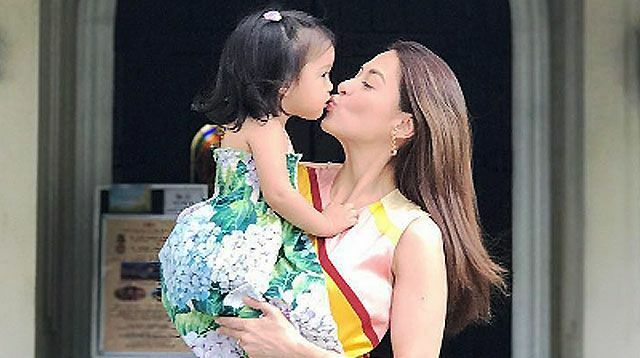 "I bring two because I also use it sometimes as a nursing cover or sinasampay sa balikat kapag kakargahin si baby ng ibang tao," she explained. 6. Always bring a change of clothes for your baby. Like diapers, the younger the baby, the more you'll need. You'll never know how much spit your child can produce. Many moms pack only two extra sets of clothes packed in cube bags, so it's easy to get and re-pack. Some moms bring more than two sets or extra tops just in case. 7. And, yes, bring a change of clothes for you, too. 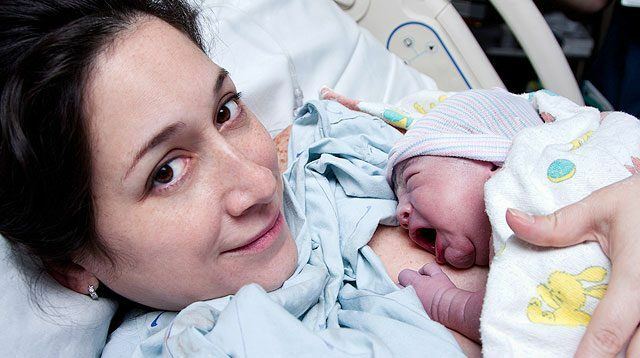 Your baby isn't the only one getting dirty when spit-ups, pee accidents, or liquid spills happen. You don't want the smell of lungad lingering on you, so pack one to two extra tops, also in its own separate cubed bags. 8. Have emergency information handy. Make sure you have a copy of all the emergency contact numbers you need (e.g., hospital or doctor's number, etc.) on your phone and written on a piece of card tucked in the diaper bag's pockets. You may run out of battery. Wet clothes, soiled diapers inserts (for modern cloth diaper users) -- you get the picture. It will happen more often than you'd like. If your baby is already eating solids, bring a small container jar of baby food, spoon, and a bib. For toddlers, always keep a pack of finger food like cookies. "I just bring my tot's cup and refill it with distilled water or juice I buy from the store. Then, I empty it before packing it in my bag. That's one less spill to worry about," says Rowena Baragon, content producer and mom to an 18-month old boy. 12. Bring his comfort item. Whatever your baby's comfort item, bring it, whether that's a pacifier (choose one with built-in cover), his lovey, a blanket, or bolster pillow. 13. Bring toys and books. Bring his favorites and also throw in a surprise (a new toy or something your baby hasn't played with in a long time). Bring them out one at a time. And, gentle suggestion, let your smartphone be the last resort. Diaper cream or powder, petroleum jelly, or a balm that you apply on your baby's bottom after a diaper change. Nursing cover If you're breastfeeding, you don't have to worry about packing bottles. "Mas konti ang dala kapag breastfeeding, no bulky bottles, just a nursing cover or some don't even cover up and that should be okay, too." Breast pump kit Nursing moms usually bring their breast pump kit (with pads, containers, etc.) in a separate bag. You won't need it if you are direct breastfeeding. 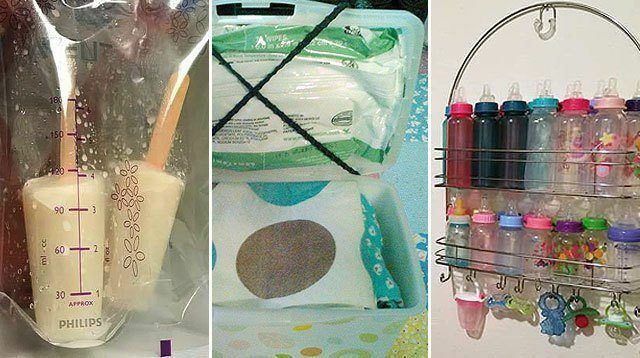 Bottles of expressed milk/formula If you're not exclusively breastfeeding, bring bottles already filled with the right amount of clean water and pre-measured formula or expressed milk storage bags. First-aid kit Don't forget to bring his prescription medication. Your kit should have at least a thermometer so you can check the temperature. Baby sling or carrier These are handy when you need your hands to be free. A stroller can be your baby's mini bed when he's out and about, too. No matter how long your list of diaper bag essentials ends up to be, all the moms agree your bag needs to be organized. 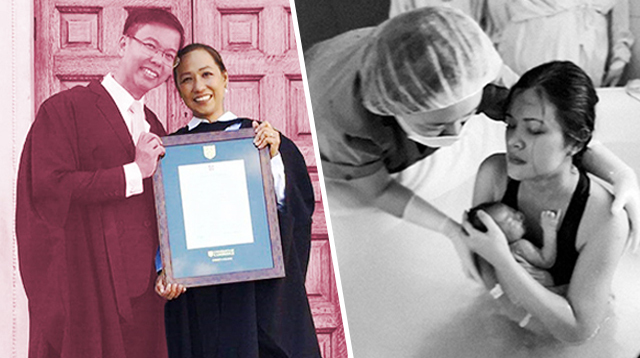 "Group the content na magkakasama yung pareho mong gagamitin for one purpose -- feeding, nappy change -- para isang dukot lang," advises Bernice Lozano, whose youngest child is a 4-month-old baby girl. Katrina Lee, mom to 6-month-old twins. "It's easier to contain any spillage if your bags are compartmentalized. Kapag may natapon or nag-leak, hindi lahat basa." 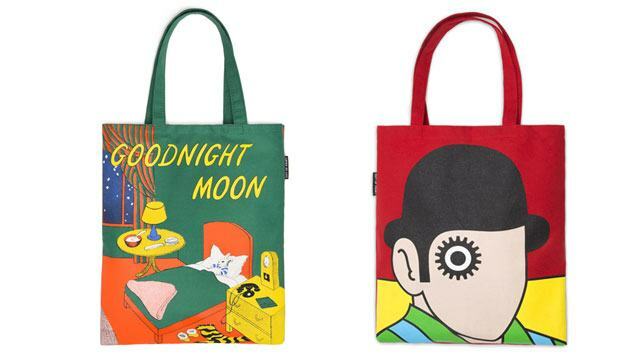 You're probably thinking now that roomy bag you first spotted won't do at all.